When the time comes to look for a new dentist, the choices can be overwhelming. In New Hampshire, Plymouth, Holderness, and Ashland are home to dozens of dentists with different specialties from cosmetic to restorative dentistry. How can you be sure that you are choosing the right dentist for your needs? By knowing the right qualifications to look for, and the right questions to ask, you can be confident in the knowledge that you are making the best possible decision. When a dentist is good at her profession, her reputation grows along with her patient base. Before choosing a dentist, make sure to do your research on what other people have to say. A dentist with a good base of satisfied patients like Dr. Kirschner will often have a testimonials page on her website for those patients to sound off on their experiences. But don’t just take their word for it. One great aspect of the Internet is that information is just a few clicks away. Thanks to online review sites, you can read about the experiences of previous patients and whether the overall consensus is positive or negative. While patient word of mouth goes a long way, you should also be looking for a dentist with the right professional credentials to back up their qualifications as well. In addition to researching patient testimonials, be sure to also do your research and make sure that your dentist received education at a credentialed dental school. A good dentist is also interested in staying current on the latest dental techniques, and staying involved with her dental community. For example, Dr. Kirschner is a member of such organizations as the American Dental Association, the Academy of General Dentistry, the American Academy of Cosmetic Dentistry, and the New Hampshire Dental Society, and she regularly attends seminars nationwide to stay educated on new findings and technology within the industry. You may find several dentists who boast a strong reputation and the right education, but that still may not mean that they are the right choice for you. In addition to these qualifications, you should also be looking for a dentist whose practice and specialties coincide with your particular needs as a patient. 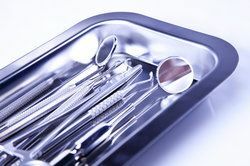 If you are looking for a dentist for your routine cleanings and cavity fillings, you should be seeking a dentist with an established general dentistry practice. Meanwhile if you have lost several teeth to decay or injury, or are in the market for a cosmetic procedure like porcelain veneers, you need a dentist with experience in restorative and cosmetic dentistry procedures. If you are looking for a dentist to treat your children, it is important to find a dentist with a family-friendly practice and an office that caters to children and teens. A good dentist can make all the difference between a positive and a negative dental experience. Contact Plymouth General Dentistry to schedule a consultation and find out if Dr. Joan Kirschner is the right dentist for you.